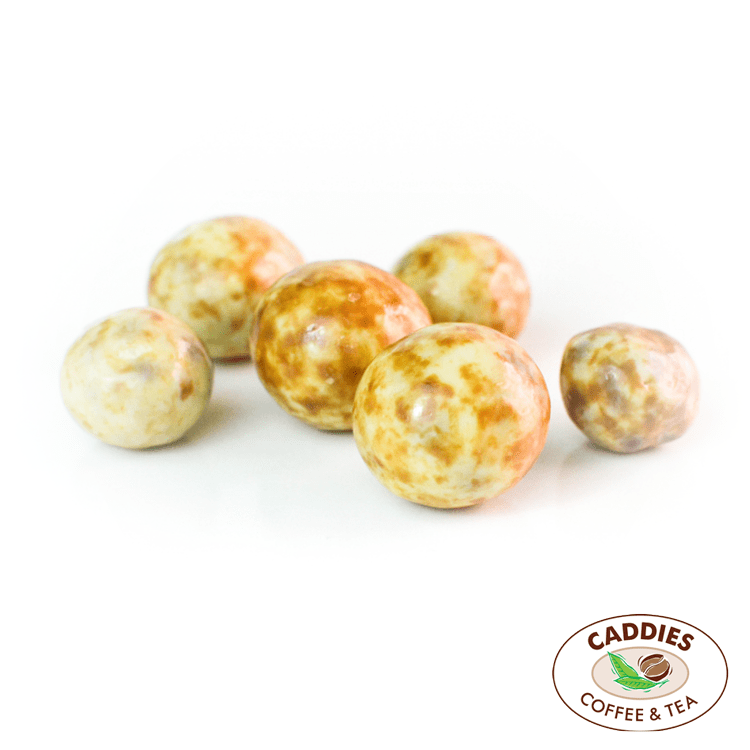 Why does Caddies Coffee have so much flavour? 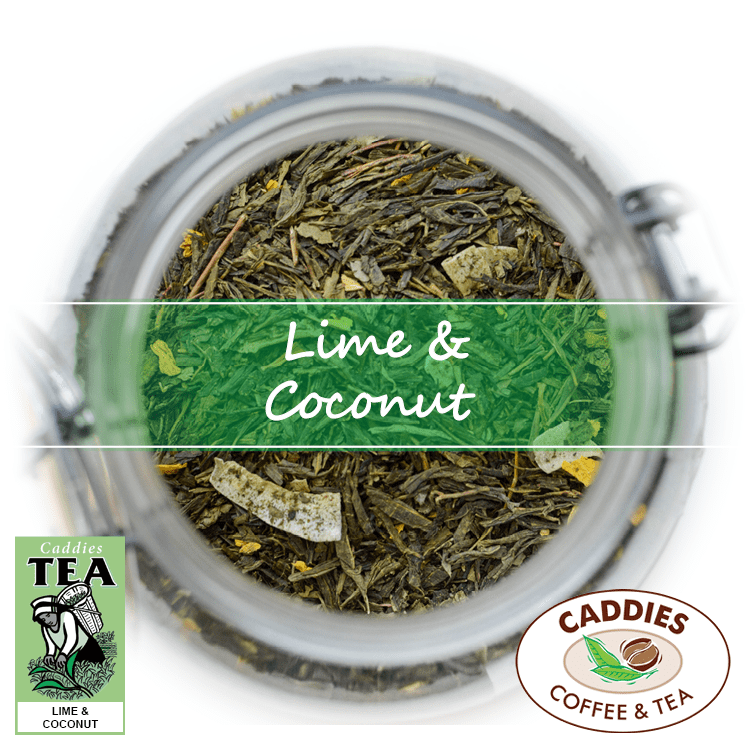 What makes Caddies Coffee a little different? 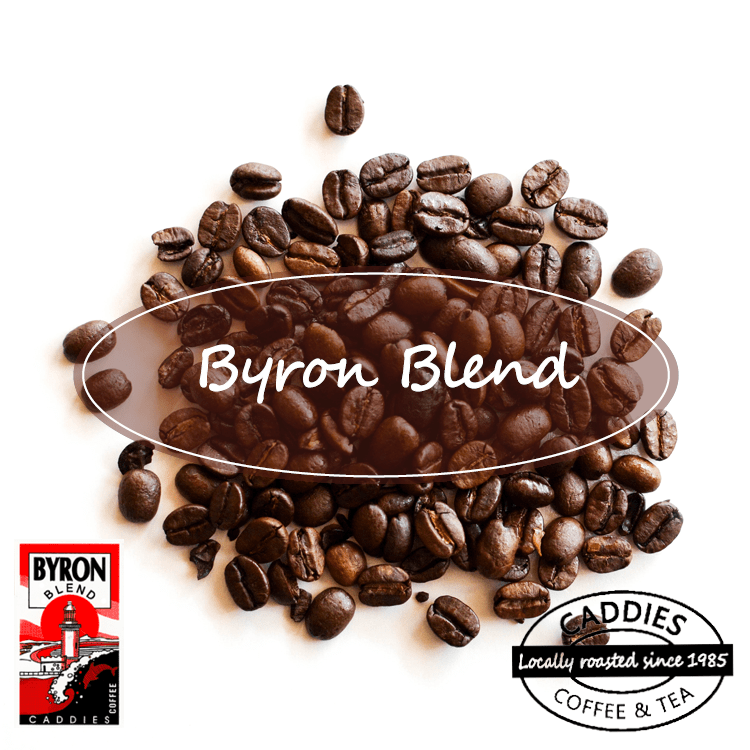 Since 1990 Caddies have used a unique hot air roaster to roast our selection of 19 different coffees including our Byron Blend Coffee. The Belaroma Coffee Roaster uses hot air, electrically heated using no propane/gas, and a large fan. This hot air is then blasted onto the beans from underneath causing agitation to the bean bed. The fan forced heat along with the fluidised bed of beans, allows a fast and consistent roast, locking in all the flavour and aromatics of the beans. 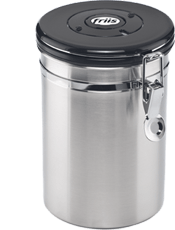 The use of the electric heating elements instead of the more traditional propane or hydrocarbon based fuels, mean Caddies Coffee is free from carbon monoxide (a by product of incomplete combustion of fossil fuels). Caddies source their green beans from an outstanding importer with over 100 years experience importing and wholesaling green beans. 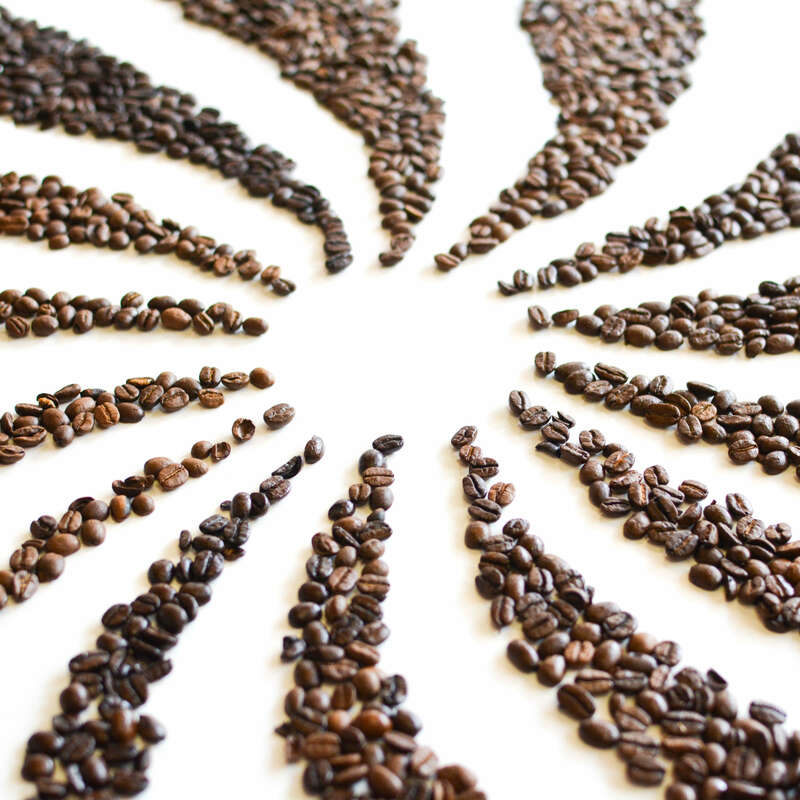 This combined with our weekly roasting schedule means you can be sure you are drinking the finest, freshest coffee. 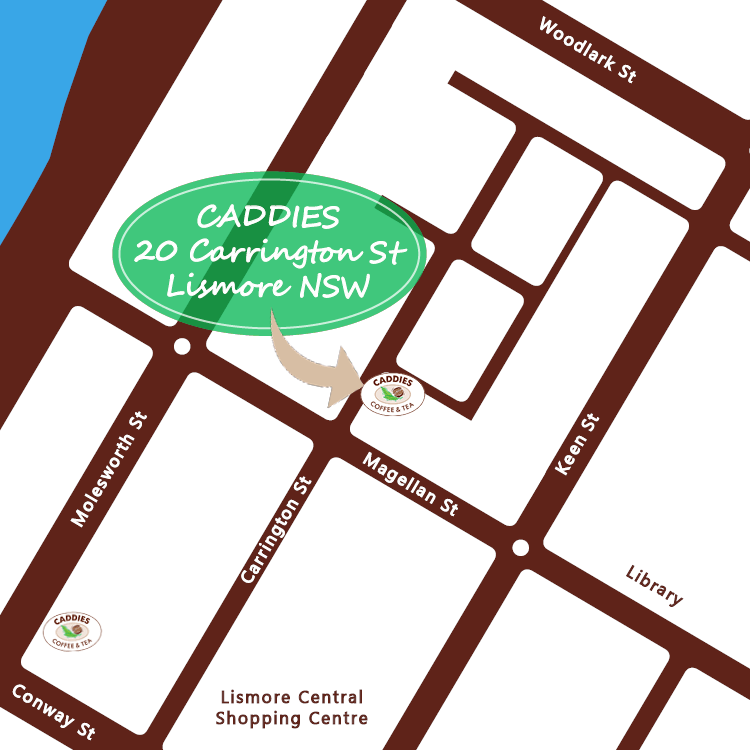 In 1985 Bill Sheaffe started Caddies Coffee Company, roasting coffee in the retail shop located at 20 Carrington Street in Lismore NSW. 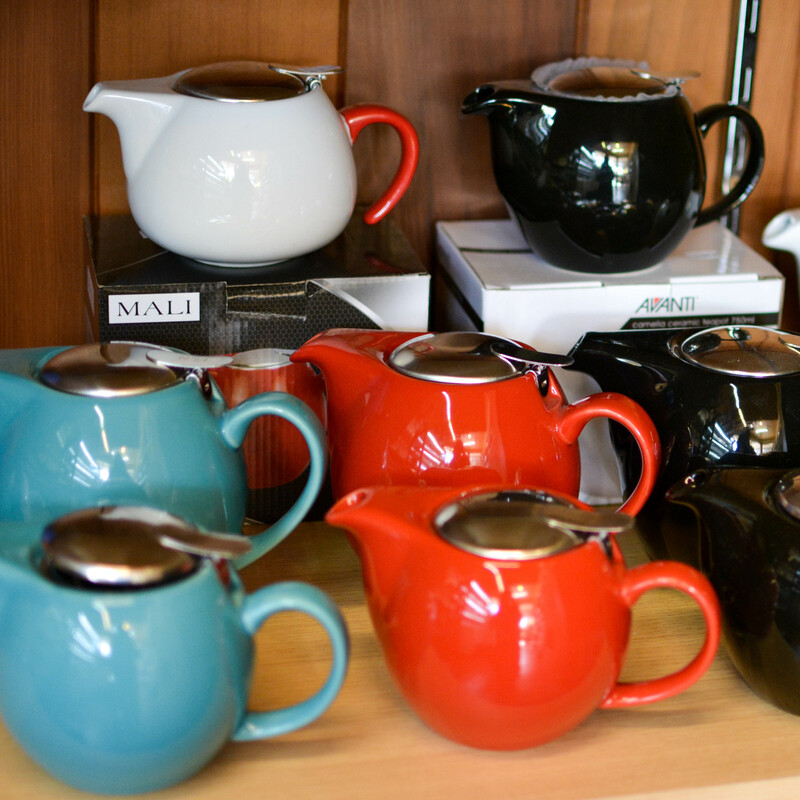 Over the past 30 years Bill has established a reputation for stocking the best quality coffee, tea and brewing supplies. His dedication to understanding all aspects of coffee, from the growing, importing/exporting, roasting and brewing, has lead to him creating some outstanding and award winning roasts still available at Caddies today. Today the business is still owned and operated by family, with Bill’s granddaughter, Jess, recently taking ownership in July 2017. 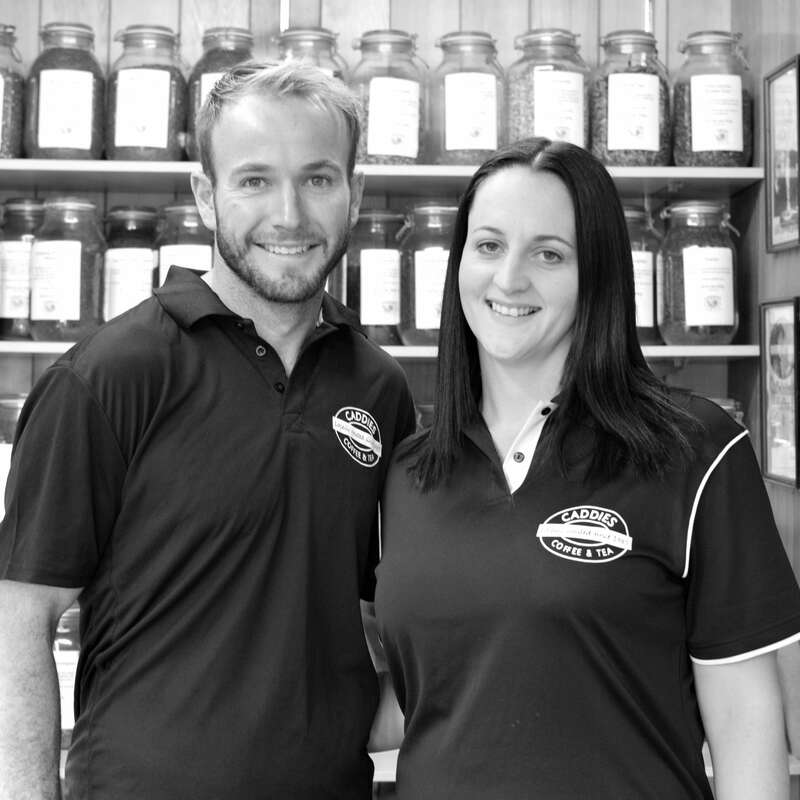 Jess along with her business partner and husband Scott, grew up in the northern rivers and are now raising their family in this place they call home. In preparation for the business to be passed down to the next generation,Bill has spent the last 18 months teaching Scott all there is to know about roasting on the Belaroma Fluid Bed Coffee Roaster, bean selection, recipe development and the flavour profiles of various coffee beans. Today you will find Jess managing the retail and online shops, whilst Bill and Scott maintain the same quality and standard of coffee that has come to be expected from Caddies Coffee & Tea. 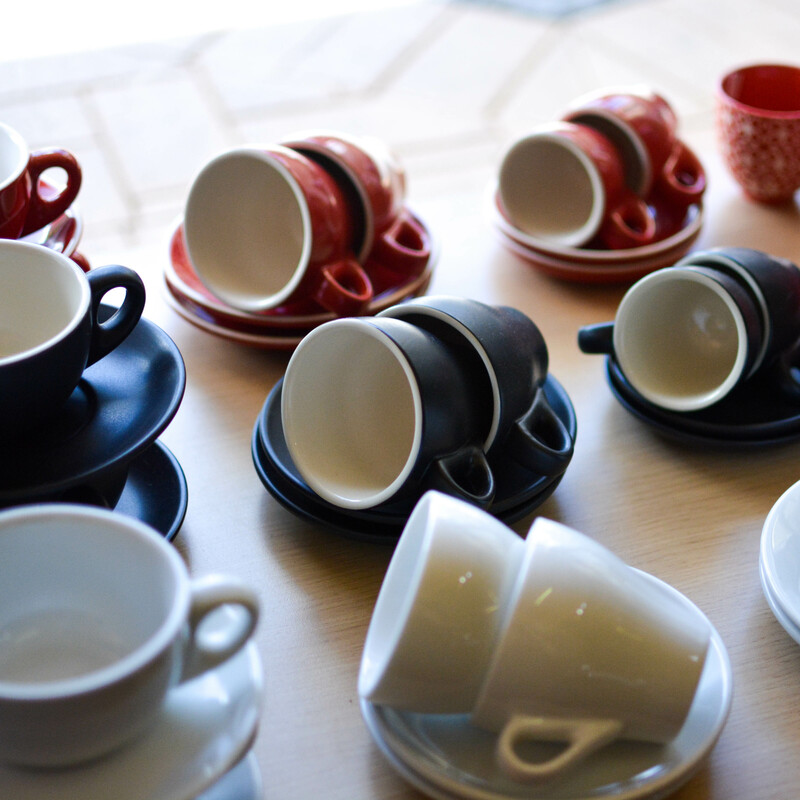 Where from and how you buy your coffee will determine just how fresh your coffee is. If you’re buying ground supermarket coffee , I can guarantee that you are tasting a below average cup, no matter the packaging. After roasting and cooling, the coffee beans will change in aromatics and flavor as time goes on. The peak of these two coming together at the 3-6 day point. After that they begin to dissipate over time, how fast can depend on many factors like storage temperature, sun light exposure, bean type and roast level. Once your coffee is home, storage and packaging is key to keeping your coffee fresh. 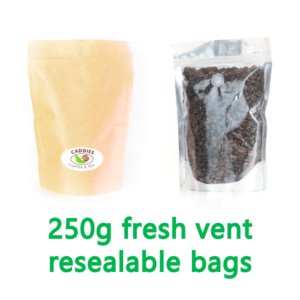 If you buy your coffee ground, it is essential to store it in an air tight container and in a dark, cool, dry place. Ideally purchase what you need for about a week to 10 days. If you buy whole bean, try to purchase what you need for 20-25 days. However if you vacuum package a portion of your beans you can extended the shelf life up to 40 days. Caddies offers this service. Super market coffee is given a minimum 12 month shelf life. So the ground coffee for you machine could have been on the shelf for many months before you use it at home. No matter the packaging (vacuum packed/foil bag), no coffee will taste its best after 8 to 10 months on the shelf. 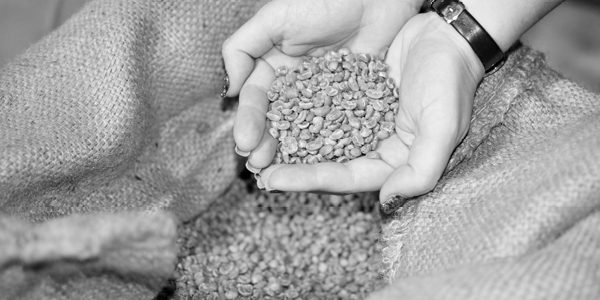 At Caddies we roast weekly ensuring you taste our coffee at its best and its always fresh. Freshly roasting green beans means you get the best coffee! Each type of bean is roasted differently to bring out its flavour. When Bill Sheaffe started roasting coffee in 1985 he was fortunate to find as a mentor a retired roaster, George, who had a 50 year career as a coffee roaster in Sydney. Bill spent some time with George, learning from him before he purchased a roaster in Lismore. 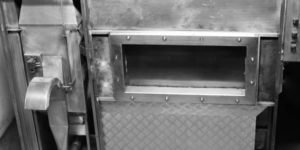 This was a small drum roaster manufactured in Europe in the late 1940s and was the most common method of roasting coffee at that time, and still is today. This roaster (seen at left with a young Bill) was located in the retail shop in Carrington Street, Lismore, a concept unusual in 1985. It was only capable of roasting 5 kg batches and by 1990 no longer met the demands of our customers. Mind you, it still has a place in the retail shop as part of Caddies’ history, and where customers can find their local free newspapers. We replaced the old roaster with a new roaster that employs an improved roasting technique known as ‘fluidised bed roasting’. This roaster is capable of roasting more than 2000 kgs per week. Coffees from this new roaster tend to be more fruity with balanced acidity and a consistent, even roast. The role of a coffee roaster is the same as that of a vigneron. 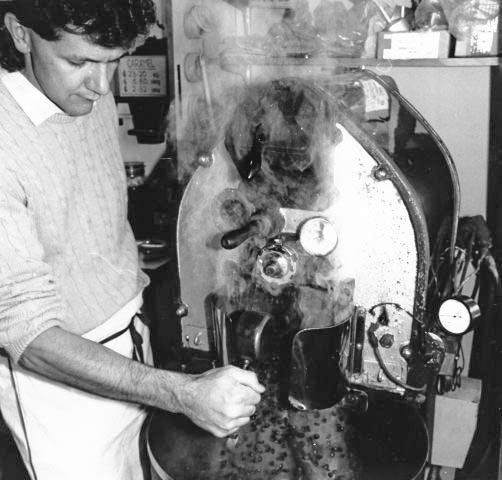 Whilst anyone can be taught to roast coffee, the success of Caddies’ coffees is the result of Bill’s passion for, and understanding of, the differences between beans from different origins and different roasting requirements that is fundamental to great coffee – it’s Bill’s experience and commitment that truly make the difference. One of the things Bill has observed with coffee in the past 30 years is that growers are better informed now with greater concern for the environment, a recognition of cultural and social practices and values (e.g. Fairtrade and organic), greater use of newer technologies (e.g. colour and laser sorting) and some producers of high quality coffees shipping their beans in poly-lined sacks. All of these features result in a better cup of coffee for coffee lovers.